Will Your Insurance Policy Cover Roof Damage? Dealing with roof damage after a nasty storm can be a stressful and time consuming process. Navigating through the insurance claims process, finding the right contractor, and making sure you are properly reimbursed for covered damage can be difficult and intimidating. The easiest way to check whether or not your covered is by contacting your insurance provider to go over your policy. Some policies take a variety of factors into account when it comes to roof damage, including the age of your roof. Some policies may not cover the damage for a roof that is over 10 years old. Regular maintenance and inspection also play an important role in coverage. Most companies will send an inspector to check the damage and verify your claim, but if the damage is a result from normal aging and wear and tear, it might be considered under normal maintenance, and won’t be covered under storm damage. You may also be faced with a certain time frame to claim coverage for the damage. As soon as it’s safe, go outside and inspect the damage. Some damage may be easily observed around the perimeter of your home; we do not recommend getting on your roof alone after a storm. Instead, call a professional roofer for further roof inspection. A professional roofer should know what type of damage to look for, take plenty of pictures of the damage, and provide detailed documentation for what needs to be fixed, as well as cost estimates. Include as many details and descriptions as possible when filing your claim, this will greatly increase the likelihood that you will receive the proper compensation to cover the damage. Keep a set of before and after pictures of your roof and exterior property, and make sure to update them after regular inspections and maintenance. This will also ensure a smoother claims process. Before you can file a claim, you will need a qualified roofer to inspect and provide an estimate for damages. A roofer experienced with insurance companies and the claims process can makes things easier for you and ensure you get the right compensation to repair your roof. Most roofers will provide a free inspection, but be wary of contingency contracts. Signing one of these means you have agreed to give that roofer the job after your claim goes through. You shouldn’t have to sign anything to get an estimate, and a reputable roofer wouldn’t try to trick you into signing a contingency contract. Filing an insurance claim can be a hassle, but it doesn’t have to be! 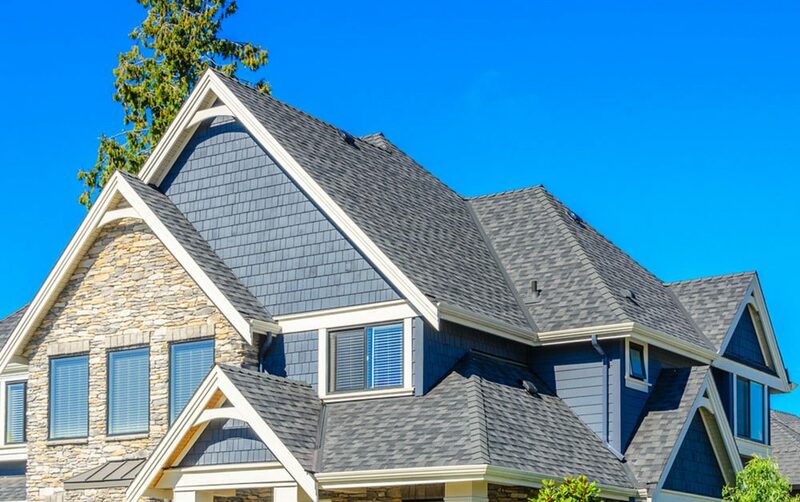 Choosing a qualified, professional roofer can help ease the claims process and ensure that your roof will be repaired with expertise as quickly as possible.